Come on a weekend, race all the week, leave on a weekend! 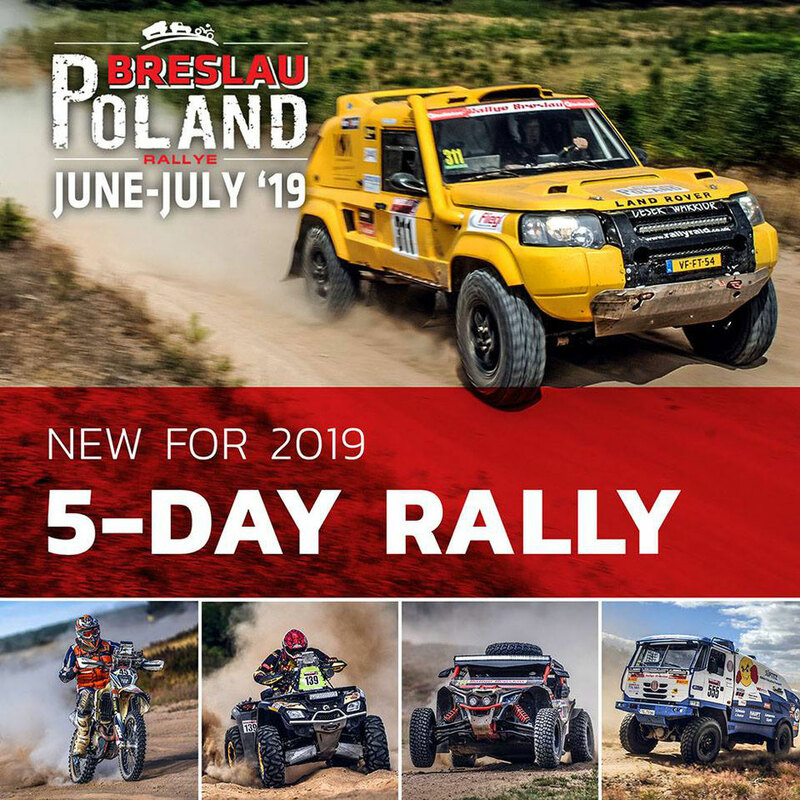 Following the principle "less is more", Rallye Breslau Poland 2019 will be a 5-day event! Come on a weekend, race all the week, leave on a weekend! All the good will stay in a highly concentrated concept. The year is coming to an end and we are looking towards a spectacular rally-season in 2019. Following the principle "less is more", Rallye Breslau Poland 2019 will be a 5-day event! Come on a weekend, race all the week, leave on a weekend! All the good will stay in a highly concentrated concept. Administrative checks and scrutineering will be done on Saturday and Sunday, the rally days will be Monday to Friday and the prize-giving ceremony will take place on Friday evening. "With this new rally concept in Poland, we are aiming to save valuable time for the competitors, but still offer them a challenging event on versatile routes without repeating parts of the track." says rally-organizer Alexander Kovatchev. "In this way, people will miss just 5 working days, get back home the weekend after and go relaxed to work on Monday. The problem with the Sunday driving restriction for trucks is also solved in this way." Together with the classical rally and the positive experience from Balkan Offroad 2018, the newly introduced Discovery category will be available for those looking for adventure in non-modified vehicles (ATV, SSV, Cars). "We are happy to offer again what the rally stands for: adventure, spirit, fun, action, holiday-feeling, all this traditionally in the end of June / beginning of July - but simply more compact for a better price" Kovatchev added. On the last week of November, we will have the final meeting with the Polish authorities as to confirm the exact dates of Rallye Breslau Poland 2019.